Drastic reduction for a quick sale, 15k under assesed value.Very Motivated seller!! 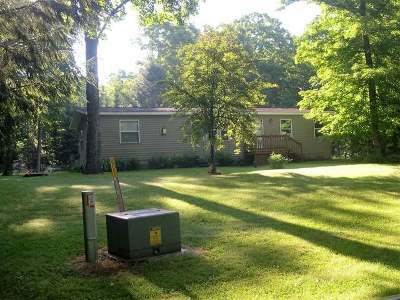 !Well kept manufactured home behind Maplewood Golf course in Pickerel. 3 bedroom 2 baths. One of which was just remodeled. New roof in 2005, siding 2006, hot water heater 2016, dishwasher 2017. Condo fees are $150.00 per year for the road maintenance (Unit 56 Chip n Dale Condo) Golf and snowmobile out your back door. Near many lakes for your enjoyment. The condo association is not a high rise, but there for peace and tranquility. This is a very quiet area. FYI these are not a high rise condo unit they are single family homes. Call today!!! !